This calculator will demonstrate the difference between taking a lump-sum payment from your 401(k) and saving it in a tax-deferred account until retirement. First enter the current balance of your plan, your age, and the age at which you expect to retire. Then include your federal tax rate, state tax rate, and your expected annual rate of return. Press CALCULATE and you’ll see a side-by-side comparison of a lump-sum payment and a rollover to a tax-deferred account. As you’ll notice, taking a lump-sum payment can take a big bite out of your retirement savings. Assumptions: Contributions are made before taxes, federal and state income tax rates are the same at retirement age, and withdrawls are qualified under the IRS rules. The world of retirement investment and planning is full of options. If you have a 401(k) account, you might encounter one of multiple reasons to instead convert it to an IRA. Whether you're leaving a current job or simply want more control over your investments, here are some things to consider and some steps to take when making the conversion. A 401(k) is a tax-deferred type of retirement investment that an employer sponsors for employees. Usually employers will match up to a certain percentage of employee contributions to the 401(k). Investors have control over 401(k) investment options and decide where and how to invest. IRAs, however, are not employer-sponsored, though they are investment vehicles through which an individual can save for retirement. Their basic explanation is in the name: Individual Retirement Account. These are accounts in which people can keep stocks, bonds, and other investments to accumulate money for retirement. IRAs exist in several types: Roth, traditional, SEP, and rollover. Rather than setting up an IRA through an employer, individuals setup IRAs through private financial institutions. 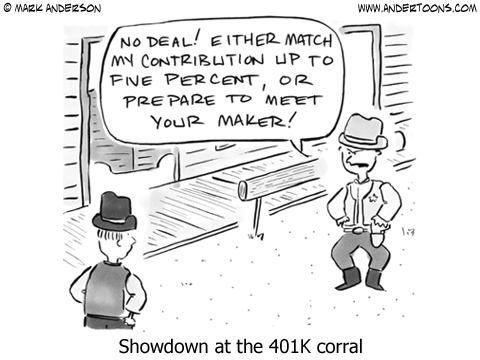 One of the tricky things about a 401(k) is the vesting of employer contributions. Some employers require a time period to have passed before their contributions to your 401(k) vest. This has to do with keeping employees from leaving the company after accumulating a certain amount of employer money into a 401(k) account. 401(k)s often have fees and penalties associated with them. Most employers hire an outside company to run employee finances like 401(k)s and stock options, which means paying fees. If you want to draw from your 401k before retirement, you'll have to pay a hefty penalty as well, usually 10 percent on top of the immediate taxes you pay upon withdrawal. If you find yourself in a position where you're thinking about converting your 401(k) into an IRA, you've got several things to think about before you do it. One of the most common reasons for making the conversion is a job change. Your former employer might not give you the option of leaving your 401(k) with them, so you either have to convert it to an IRA or cash it out. In this instance, converting to an IRA is the better strategy, since cashing out your 401(k) before retirement age will cause you to incur penalties. IRAs offer people more control over their money. Employers also don't offer nearly as many investment options as an individual can get on his or her own. An IRA gives you much more control over how your money is invested. You also have more control over your beneficiaries. Though IRAs also have early withdrawal penalties, you can avoid paying those penalties if you withdraw the money for specific purposes, like to buy a house or for health insurance after unemployment. If you haven't already left your job, check whether your employer's contribution to your 401(k) has vested. If it hasn't, determine the time period you need to wait for it to vest. If it's only a small amount of time and you have the option of remaining in your job for a few more months, waiting for the employer contribution to vest is valuable to your retirement finances. In order to roll over your 401(k) into an IRA you need to have a place to move your 401(k) funds. Do you have an existing IRA account already? If so, you might want to consider rolling your 401(k) funds directly into that IRA account. Have your former employer directly roll the money over to avoid paying any taxes or penalties. Your employer may also give you a check for the amount. If this happens, you have 60 days to move the funds into a new account before you have to pay early withdrawal penalties and taxes. Set up an IRA account if you do not already have one. You can choose between several types of IRA, though the two most common are Roth and traditional. Rolling your 401(k) over is easier if you move it into the same type of IRA, namely traditional into traditional, or Roth into Roth. However, that's not the only thing to consider when moving your 401(k), and a different type of IRA might turn out to be best for your finances. Anyone can set up a traditional IRA. A Roth IRA, however, has an income restriction. Individuals who make more than a certain amount may not contribute to a Roth IRA. Both types of IRA have tax benefits, but the timing of the tax benefits depends on the type of IRA. The breakdown is, essentially, that you won't pay taxes on a traditional IRA until you withdraw the money, whereas your Roth IRA contributions are after tax, so you won't pay any taxes later when you take the money out. Depending on what tax bracket you're in when you contribute and what tax bracket you anticipate being in when you retire, one IRA option will make more sense than the other. You can also withdraw your Roth contributions (not the earnings, though) without penalty even before you've reached retirement age. After you've moved your funds is a great time to reconsider your investments. Because your options have opened up, you might want to widen your investments. Younger investors might want to go for higher-risk investments since the potential for capital gains is much greater. Those closer to retirement age will want to invest conservatively to make sure minimal money is lost if the market fluctuates severely. Armed with the right knowledge, you'll be able to convert your 401(k) into the type of IRA that best suits your finances. Good planning will keep you from having to pay any penalties, and you'll have more control over how your money is invested.